Joan Poe, a resident at Eureka Rehabilitation and Wellness Center, with her daughter, Jolon Wilson. David Brodsky wanted to know why his mother wasn't eating. "Mom kept telling me, 'I'm hungry,'" Brodsky says. 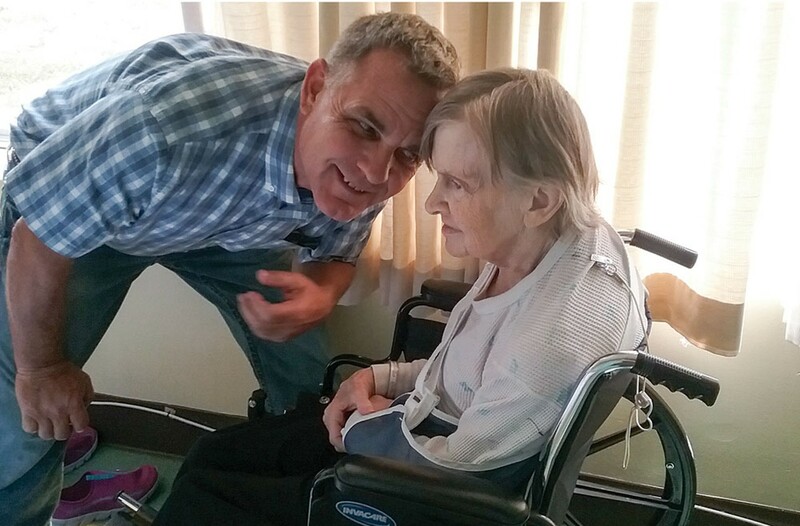 It wasn't easy to take care of his mother, Marie White, from halfway across the country. Brodsky has a business to run in Texas, renting trailers to oil rig workers. White, 85, was in pretty good health despite being legally blind. But after she went into care at the Eureka Rehabilitation and Wellness Center in April, she seemed to decline. Brodsky talked to her weekly and called the administration to find out why she kept complaining of hunger. He says the staff assured him she was fine. Then came the fall. White woke up one August night to use the bathroom. She walked past the nurse's station, using the railing as a guide as she had before. But someone had placed a plastic bar across the bathroom doorway with a sign hanging from it, warning that the floor was wet. With no one to stop her, White leaned her weight on the bar, mistaking it for the hall's railing. She fell to the floor and broke her arm. When she was admitted to St. Joseph Hospital she weighed 88 pounds. 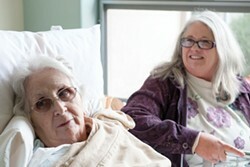 The facility put her on hospice care. Brodsky flew in from Texas to figure out why, exactly, his mother went from relatively healthy to dying within the space of four months. What he found out was this: There weren't enough nurses on duty to help keep his mother from falling, nor enough staff to make sure she ate. The window by her bed had no blinds. The floor by her bed had garbage on it. And the facility itself was closing in 30 days. Or two months. Or longer. Residents at the facility would have to go to Fortuna. Or Redding. Or Santa Rosa. No one seemed to have a straight answer. Brodsky says an aide told him, privately, "Get your mother out of here or she's going to die." Brodsky had prepared himself for a tragedy. Instead, he found a mystery. Sometime early next year Humboldt County is slated to lose more than half its skilled nursing beds. Three skilled nursing facilities — Eureka, Pacific and Seaview Rehabilitation and Wellness centers — have had closure plans approved by the state. The company operating those facilities, Rockport Healthcare Group, says it can no longer afford to appropriately staff its facilities in Humboldt County. There are currently 457 skilled nursing beds in the county, and all but eight of them are in facilities run by Rockport and owned by Brius Healthcare, which holds a virtual monopoly on skilled nursing on the North Coast. The pending closures will mean the loss of 258 total beds, resulting in the mass exodus of current and future patients from Humboldt County, who will have to seek care away from their families and support networks, to die in places where they have never lived. For many, this outcome is unthinkable. According to the Journal's research, it is also entirely preventable. But the question of who is responsible for preventing it has become a contentious one, pitting private business owners against state lawmakers and a nonprofit HMO against corporate healthcare, while the lives of men and women like Marie White hang in the balance. 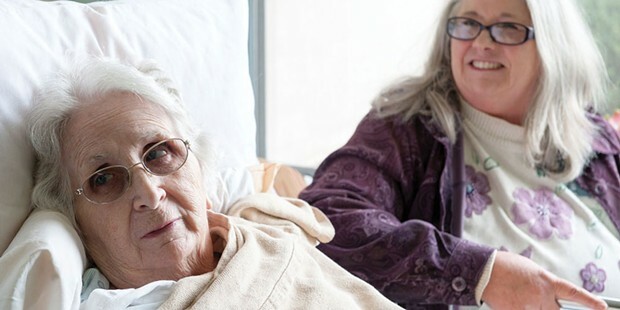 "If this really happens, it's going to be catastrophic for this community," says Suzi Fregeau, program director for the Long-Term Care Ombudsman Program at the Area 1 Agency on Aging. "It means that residents are going to be placed in facilities a minimum of 150 miles away. The reality is rehabilitation involves support from family." The Office of the California Long-Term Care Ombudsman, the National Union of Healthcare Workers, state Sen. Mike McGuire and Assemblymember Jim Wood all sided against closing the facilities after the plan was announced in July. The California Department of Public Health rejected the initial closure plans but then approved a revised plan in September. Fregeau calls the myriad factors contributing to the current threat of closure a "rabbit warren" of dysfunction. Rockport has said that over the last 18 months it lost $5 million, mostly due to recruiting and housing workers from out of the area because it couldn't find sufficient skilled staff in Humboldt County. Why? In meetings with patients and families, politicians and health officials, Rockport CEO Vincent Hambright blamed the black market marijuana industry. There is a well-documented shortage of medical professionals in Humboldt County, in part because Humboldt State University shuttered its nursing program in 2011. Jerold Phelps Community Hospital in Southern Humboldt also reports difficulty attracting sufficient staff for its much smaller, eight-bed skilled nursing facility. According to a statement from McGuire's office, CEOs from local healthcare organizations such as St. Joseph Hospital and Open Door Community Health have been gathering for strategy sessions to discuss solutions to the crisis for the past two years. Consistently invited, Rockport management never attended. After several months of negotiations, closed door and public meetings, condemnatory press releases from politicians, frantic letters from advocates, angry letters from family members and widespread uncertainty over what would happen, the company shifted blame to Partnership Healthcare Plan, the MediCal distributor for Humboldt County. In the last week of September, Brius purchased a series of full-page ad spreads in the Times-Standard to say, despite the fact that its closure plans had already been approved, it was "only considering closure as a last resort." The "open letter to the community members of Humboldt County" detailed steps the company had taken to recruit staff members, including providing tuition-free certified nursing assistant classes in Eureka and working with local unemployment offices. Most of the graduates, the company claims, went to work for "the hospital, temporary staffing companies or the marijuana industry." The "ultimate solution," Brius suggested, was for Partnership to provide a "temporary rate increase to address these increased staffing costs." The letter encouraged people to contact Partnership, "as the closure of these facilities is a sight that nobody wants to see." McGuire calls the media campaign, which has cost the company around $5,000 by Journal calculations, "disingenuous." "Over the last three years, Brius has been making a significant profit on the patients who call their facilities home," says McGuire. "The state has been a committed partner over the last few years, increasing daily rates over the statewide average. Partnership has been an active and engaged partner to assist Brius in keeping their doors open. Now that they've made an announcement, it feels like we're being extorted." 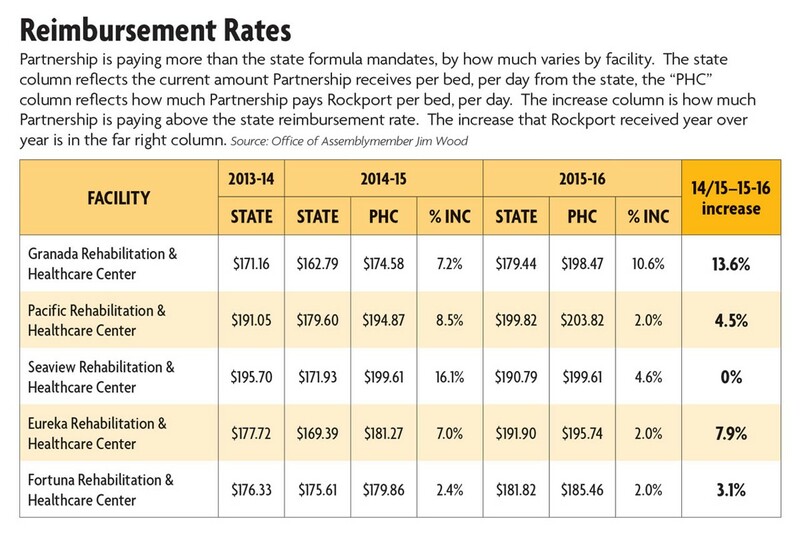 Using the fate of its patients to levy for a higher reimbursement rate is a familiar tactic for Rockport/Brius. In 2015, it stopped accepting patients into its facilities for a period of around four months, essentially stranding those with the need for skilled nursing in local hospital beds or inadequate residential care, or forcing them to relocate to Redding. State records for 2015 show that total admissions for the five facilities owned by Brius were almost halved in that year. In the meantime, the company was in financial negotiations with Partnership. The HMO eventually caved and agreed to increase rates for Brius and its other providers across the Northern California region. Current rates paid by Partnership to Brius in Humboldt County are actually 2 to 10 percent higher than the state mandates, according to research from Wood's office. Depending on whom you choose to believe, Brius shifting the responsibility for the closures onto Partnership is either an elision that takes advantage of the public's poor understanding of healthcare policy or simply a barrage of lies intended to deflect criticism as it makes a cruel and unpopular decision. According to data reported to the state for the 2014-2015 fiscal year, only 1.4 percent of Brius' full-time-equivalent positions at the company's five Humboldt facilities were filled with temporary employees. (Figures emailed to the Journal from Brius say this number has jumped to 12.2 percent in 2016, but the company did not specify why.) And, according to these same reports, the company has been fiscally sound for most of the past five years, netting more than $5.4 million in profit from the five facilities in the five-year period from 2011 through 2015. It is unclear what changed in the last year to make the facilities unprofitable and dramatically increase the amount of money necessary to bring in outside staff. McGuire says his office has asked for a "bottom line" number on what it would take to keep the facilities open, but Brius has not been forthcoming. In its advertisements, Brius states that it has "offered these facilities for free to anybody who wanted them." This is not consistent with information provided by former state Senator and Assemblymember Wesley Chesbro and former state Assemblymember Patty Berg. According to Chesbro and Berg, Partnership offered to purchase the three facilities slated for closure, but was told it would have to purchase all five because Brius didn't want to be in competition with the nonprofit. The asking price? $32.6 million. Partnership declined. Typically, MediCal rates are not intended to support a profit-motivated model, which Brius certainly is, having brought in $77 million in profits from its California facilities in 2014, according to a report filed with the California Attorney General's Office. Robert Layne, director of government and public affairs for Partnership, says the situation on the North Coast is unique. In a different service area, were there a disagreement about rates, Partnership might take the drastic step of moving a patient across the city. In Humboldt County, Brius owns the whole show. Rather than moving a patient hundreds of miles, the company is forced to negotiate. "The majority [of facilities] are happy with our rates," says Layne. "This is something that is specific to this area because they have all five facilities. Our amount goes above and beyond what their actual costs are. We've never had to deal with someone who thinks that what we're doing — above and beyond — is not enough." Layne adds that Brius was not actually billing claims at the maximum allowable limit. Partnership stepped in to help with claims maximization, but says the $5 million loss alleged by the company didn't move. That number, he says, has been a source of contention from some quarters. "We have been unable to see where that number is coming from," he says. Although negotiations are ongoing, Partnership is encouraging the company to "look internally" at its costs. As Brodsky sat by his mother's bed, helped her eat and tried to run his business via telephone, he also began researching Brius. His investigation kept leading him back to one name: Shlomo Rechnitz, the company's owner. The Los Angeles-based billionaire owns 80 skilled nursing facilities across California. Rechnitz purchased the five Humboldt County facilities in 2011, in the wake of a class-action lawsuit against the previous owner, Skilled Healthcare, over the company's failure to meet state mandated staffing levels. The lawsuit settlement included provisions for tougher audits of the facilities and a $50 million payout for damages; because of the sale, Brius was not required to comply with the audits. Financial reports for the 2015-2016 fiscal year are not yet available from the Office of Statewide Health Planning and Development, but previous reports do reveal what might be cutting into Rockport's bottom line or, more accurately, who. The disclosures include a section dubbed "related party transactions," which describes financial interactions between parent companies and subsidiaries. Think of it as a kind of conflict of interest statement. In 2015, Eureka Rehabilitation and Wellness Center paid $42,000 to Boardwalk Financial Services, LLC for "administrative services." The company employs Rechnitz as a consultant. It also paid $864,894 to lease the property. Who owns the property? Rechnitz. Eureka Rehabilitation and Wellness Center also paid $110,204 for medical supplies to TwinMed Medical Supplies and Services, owned by Shlomo Rechnitz and his twin brother, Steve. And it paid $47,663 to SR Capital, LLC, which lists Rechnitz as its managing member. Altogether, in the 2014-2015 fiscal year, as Rockport/Brius was playing a financial game of chicken with Partnership Healthcare and refusing to take in vulnerable seniors and people with disabilities, it managed to shunt more than $4.6 million back into companies affiliated with Shlomo Rechnitz. While, on paper, the company may have lost money, Rechnitz still managed to profit. The amount he took in for lease payments alone in 2015 on the five properties — more than $3.5 million — was easily enough to cancel out Brius' "unsustainable" combined loss of almost $1.5 million from the company's Humboldt County holdings that year. In 2015, Partnership offered an additional 2 percent raise if Brius' facilities could reach certain quality of care benchmarks. The benchmarks weren't high: Partnership needed Brius to document the number of residents with pressure sores, the number of falls in its facilities and the number of patients admitted to the hospital, among other standard measures of elder care. These numbers were due in January of 2016. Brius missed this deadline, effectively leaving that money on the table. But Partnership offered an extension. Layne says it now looks as though the numbers will finally come in and that some facilities may receive a slight boost for quality of care. Partnership could not disclose what the facility reports included but much of this information is available in the form of inspection reports on the California Department of Public Health's website. That, combined with interviews with former staff members, paints a grim picture of patient care. "I have worked in a lot of agencies and I have no idea how they passed their inspections," says Carlos Pacheco, a traveling nurse who worked at Seaview, on Humboldt Hill, in 2015. He says the facility was the worst he'd seen in the state. Pacheco pointed to the state-mandated ratio of 3.2 staff hours per patient, per day. "Basically to maintain that, you would have to have four or five [Certified Nursing Assistants] per shift," he says. "We sometimes only ran two or three." Pacheco claims that when word went around that state inspectors would be visiting, Seaview administrators would artificially inflate the number of line-level workers onsite by bringing staff and administrators with certified nursing assistant certifications, people like the activities director, onto the floor to help care for patients until the inspectors left. Another former employee, Erica Johnston, confirms Pacheco's allegations. "They would only come out and help answer call lights when state was in the building," she says. "I understand that they have other things they have to do in the office, but it seems like they never made an effort." Johnston, who worked at Seaview for two years before quitting last December, says that she would often be alone on the night shift with 52 patients to care for. 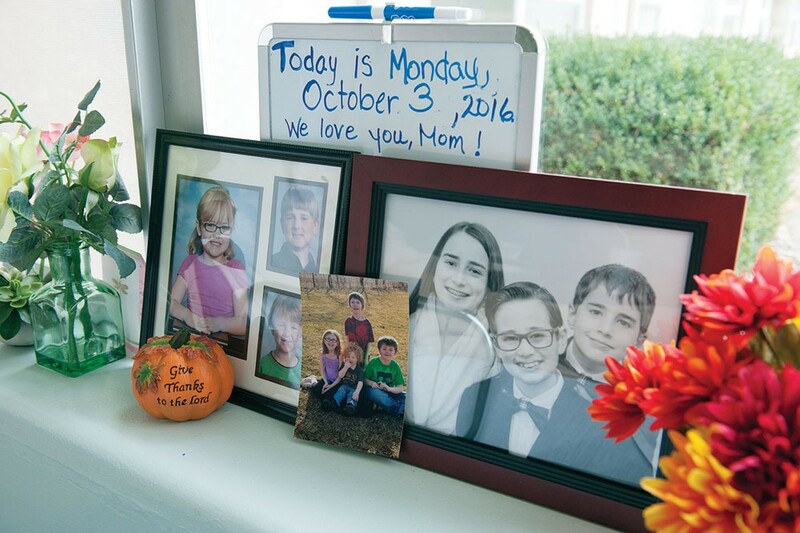 "My duties were to get them up and get them ready for the day, and to change them every two hours," she says. "Having 52 residents, I wasn't able to do that. It would take me longer to get to them." Johnston says the understaffing, combined with poor management, created a self-perpetuating cycle in which a disproportionate amount of work would be heaped on a few staff members, who would get frustrated and quit. Working alone, she would be unable to safely lift patients if they fell or coax combative Alzheimer's sufferers back to bed. Falls were common. Residents were often left in soiled diapers, or lying on soiled linens. Many staff simply did not show up for work or would call in, she claims, knowing that they wouldn't be fired due to the staffing crunch. In 2015, regulators found the troubled facility to be out of compliance with state law or licensing regulations 60 times. To put the 60 deficiencies in perspective, this is higher than the previous three years combined. 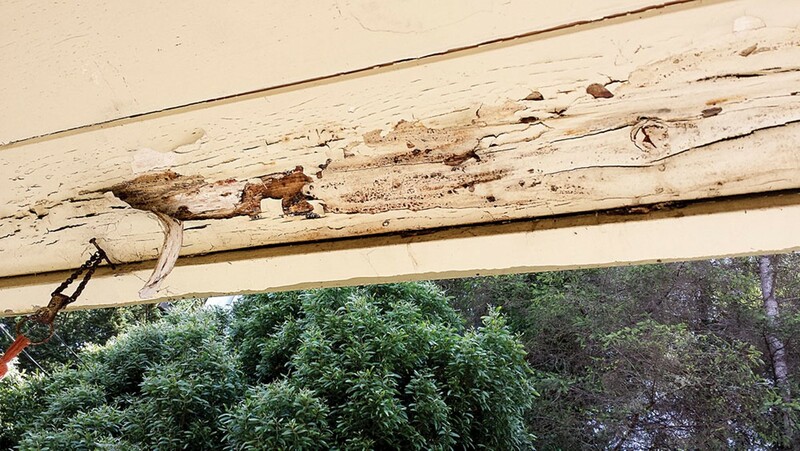 Among the complaints investigated and substantiated by the state were allegations that residents were not treated with respect, issues with safety and fall risks, and insufficient infection control. It was fined $2,000 for failing to self-report a January incident in which a staff member inappropriately touched patient's breasts while helping her shower. In August, the CDPH fined the facility $40,000 related to an incident in which a patient did not receive a physician's care for three days despite having a severe pressure sore, a high fever and a MRSA infection. Pacheco says starvation, like that experienced by Marie White, was also an issue at Seaview, where food often went cold in front of patients as staff scrambled to keep atop the workload. Even more alarming, he says, pills were often left out in cups next to sleeping patients without staff making sure they were swallowed, which he calls a "nightmare" of pill-seeking and choking risks. In a meeting with families and patients at Eureka Rehabilitation, Rockport CEO Vincent Hambright denied that the facilities were understaffed, despite protests from patients, including one man in a wheelchair who said the bandages of his amputated leg had not been changed for two days because there was no nurse who could administer wound care. Jolon Wilson, whose mother Joan Poe has been in the facility for two months to receive physical therapy following a fall, described an aide almost collapsing while trying to help her mother change clothes, and another who worked four shifts with only five hours of sleep. To make sure her mother eats and can use the bathroom, Wilson visits daily to sit by her bed. She plans to take her back to her home in Rio Dell when she is well enough. "The staff is amazing," Wilson says, tears rising in her eyes. "I can see how much they care. When the woman in the bed next to my mother passed away, they came in and stood around her bed to say a prayer. There's just not enough of them." One former employee at Eureka Rehabilitation and Wellness Center spoke to us under the condition of anonymity. She confirmed what Brodsky and Wilson witnessed, her words echoing those of Pacheco. "It is a nightmare," she says, adding that the dementia unit has one main floor with little room for patients to move around. "They bump into each other. They're covered in feces. There's a lot of falls. It's not staffed properly at night time." 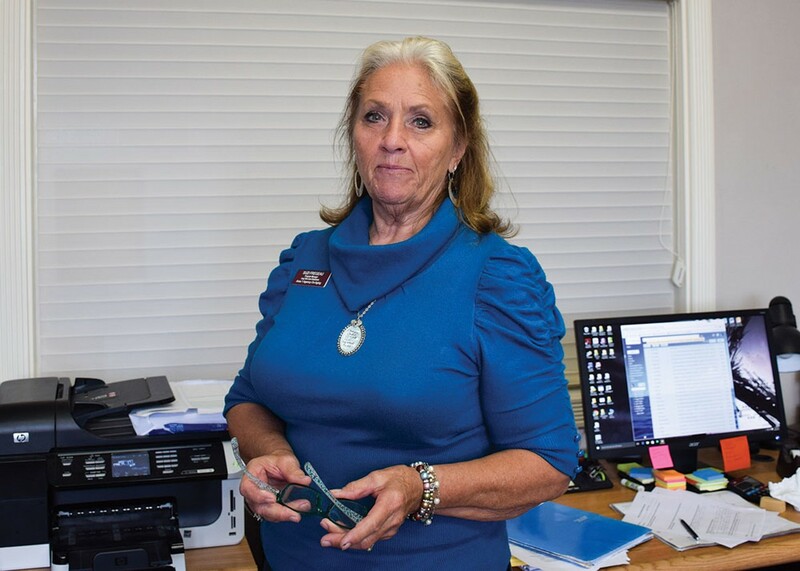 Like Pacheco, the former staffer alleged that administrators would compensate for low staffing levels by pulling certified staff who didn't actually provide services onto the floor. "Oftentimes they're understaffed, so they call in managers to just stand around," she says. "That's how they get their hours. They count people's hours that don't actually do patient care." Moreover, the former staff member alleged that her supervisors would coach her on how to write incident reports to evade the attention of state regulators. This was the case with one patient who somehow escaped the dementia unit one night, and was found several hours later ordering dinner down the street at Starz Hamburgers, she says. Another man, she alleges, fell and was left on the floor for two hours with a broken hip as staff fought with administrators over whether to call an ambulance. (Both fall numbers and hospital admissions are among the patient quality of care indicators tied to reimbursement.) The man's son finally arrived and called 911; the patient died shortly afterward. When asked about these allegations, Rockport spokesperson Stefan Friedman denied them. "The facilities have been subjected to an independent audit and stand by their staffing numbers. They have never inflated staff for a survey," Friedman said in an email to the Journal. Brodsky, the Texas businessman, took heed of what the aide told him when he first came to see his mother — he got her out. Marie White is now in Fort Bragg. He says the transition was rough. Transfer trauma, experienced by elderly people when they move long distances to new environments, is a subject of great concern to advocates. Brodsky has now returned to Texas. He still worries about his mom, but not as much as he did when she was in Eureka. "I wasn't leaving her there," he told the Journal over the phone. But not every patient has doting children like Wilson or Brodsky. At least 20 patients in these facilities are under public guardianship, with no family to advocate for them. They are patients like Antonio Valladares who, in November of 2014, was moved from another Rechnitz holding, Fresno's Wish-I-Ah skilled nursing facility, after the state shut it down due to numerous health code violations. Valladares wasn't entirely sure why he and another 24 patients were moved, or why he ended up so far from the last place he called home. He missed the employees in Fresno, who spoke Spanish. Many of his belongings, including the notebook with its precious list of phone numbers, were misplaced or stolen. His only family in the United States, a niece in Los Angeles, had no way to contact him. The workers at Seaview attributed his limited ability to communicate to residual damage from a stroke eight years earlier. He was not offered translation services. It would be almost a year before someone spoke to him in his primary language again, when a writer for the Journal happened to stop and ask his name. Between April of 2014 and January of 2016, a makeshift group of advocates, volunteers and staff members attempted to help Valladares return to Fresno. It was an uphill battle. John Heckel, a former volunteer omsbudsman for the facility, brought his wife to help translate. Valladeras alleged that a staff member had hit him in the shower because he couldn't understand her instructions and was moving slowly. His report was unsubstantiated. After finally getting back in contact with his family in Mexico, thanks to the work of advocates, he learned his son had been murdered. His physical and emotional health declined. Heckel and others tried to find a priest who could visit and counsel him. After a while, however, the people trying to help Valladeras fell away. "We were at it for about a year before it seems like everybody gave up, including myself," says Heckel. "We got tired of going and asking social services director to help him and nothing happening. I think it got held up because of bureaucracy. How hard they were trying, I don't know. I don't think we ever got to the bottom of it." As Valladeras' health waned, the CEO of Brius Healthcare was enduring a strange sort of media circus. A series of scathing investigative reports by Sacramento Bee reporter Marjie Lundstrom revealed that, in 2014, 23 nursing homes owned by Shlomo Rechnitz were dinged with serious deficiencies by the federal government at nearly triple the state average. The federal government decertified three of Rechnitz's facilities that year, including Wish-I-Ah, the place in Fresno from which Valladares was transferred. To put that in perspective, the federal government has only decertified six facilities in all of California since 2010. Rechnitz's empire has become the poster child for the failings of the corporate healthcare system, and the subject of numerous articles illustrating how inadequate state oversight has failed to ensure that public money is being reinvested in patient care. But this sorry track record is not what put Rechnitz back in the news. Instead, he became the victim of a minor practical joke when he bought 18,000 Powerball tickets for his nursing staff across the state. One nurse's son lied and said his mother had won the $1.6 billion jackpot, making headlines. Rechnitz's name briefly surged on social media as people celebrated his generosity, and then ebbed as the hoax was revealed. In an interview with ESPN, Rechnitz said it was disappointing to find out he and the staff member had been duped. "A billion five, that would take away at least half a year's income for me," he told the interviewer on Jan. 15. At the end of his life, there was no one left to stand up for Valladares but Pacheco, who says he witnessed him crying out in pain due to renal failure and rampant infection. The dying man asked for pain medication, for a doctor. Pacheco says that treatment was refused. "I fought for him to go to the hospital," says Pacheco. "I had to go all the way to the top, including calling the director of the agency. Finally, I called 911 myself." "They threatened me, but letting him suffer also meant risking my license," he says. When Valladeras returned from the hospital he rallied briefly, but soon declined. He began retaining fluid. Pacheco says that he was in severe pain, and soon became totally unresponsive. It is impossible to say how much of his suffering was due to the wear and tear of a difficult life, and how much was exacerbated by his treatment at Seaview. Because Valladeras was a ward of the state, details of his final hours and the final location of his remains are not open to disclosure. But Pacheco says Valladeras cried out for water and for a pill that would take away his pain. The water came, but the medicine did not. There was no physician on duty to offer the drops of morphine that would ease his passage. No one called a priest to administer the final rites as Valladeras, a Catholic, requested. He died alone on Jan. 15, 2016, the same day Shlomo Rechnitz was discussing his roughly $3 billion annual income on the radio. Editor's note: This story was updated from the version that appeared in print to include some additional information that came in after deadline and correct an error regarding the settlement amount in a class-action lawsuit brought against Skilled Healthcare.